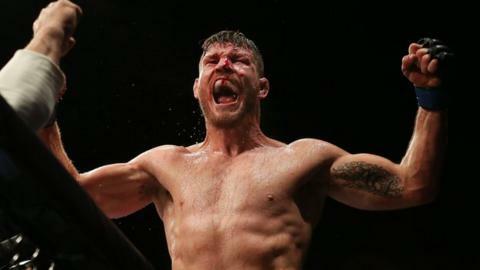 Michael Bisping has a chance to become the UK's first UFC champion after stepping in to fight Luke Rockhold. Bisping's opportunity comes after Chris Weidman was forced out of UFC 199 on 4 June in Los Angeles with a neck injury. Manchester middleweight Bisping's last fight was a unanimous-decision win over Anderson Silva in London in February. However, the 37-year-old lost to Rockhold in their only previous meeting, submitting in the second round of their November 2014 fight.